Whole Foods is recalling Papillon Organic Roquefort cheese nationwide due to possible listeria contamination. 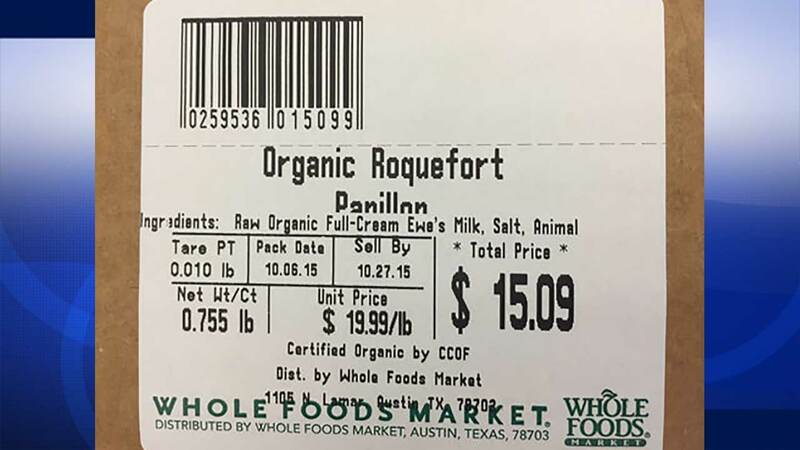 Whole Foods Market is recalling Papillon Organic Roquefort cheese nationwide due to possible listeria contamination. The recall applies to cut, wrapped and weighed Papillon Organic Roquefort cheese. The store opted to recall the cheese after the FDA found listeria in a whole wheel of the cheese. The Papillon Organic Roquefort cheese product can be identified by the Whole Foods Market scale label and the PLU 029536. All sell by dates are affected. Listeria can cause serious, potentially-fatal infections in young children, frail or elderly people, and others with weakened immune systems. It can also cause miscarriages and stillbirths among pregnant women. Healthy people may suffer only short-term symptoms including high fever, severe headache, stiffness, nausea, abdominal pain, and diarrhea. Anyone who has purchased the product from Whole Foods Market stores can get a full refund. Consumers with questions should call (512) 477-5566 ext. 20060.